With the recent shortage of AMD GPUs, many people started to look for Nvidia alternatives. While few miners would invest into Nvidia GPUs half year ago, times have changed and now even serious medium-sized mining farm owners is considering those GPUs. In this article I will review GTX 1050 / 1050Ti performance, which are two GPU models that came to replace the old GTX 750 Ti and the GTX 950. Both new GPUs have the Pascal architecture and share many things in common; that being said, there are some crucial differences between them too. Both are the first two NVidia GPU models that are manufactured using 14nm technology. This means that both have great overclocking potential. The only thing that limits overclocking is the TDP. Either model can be used to mine a number of algorithms, some of which can be rather profitable. I will get back to it in a minute. Now, the main difference is in the VRAM size. GTX 1050Ti comes with 4GB VRAM, which makes it suitable for mining Ethereum. On the other hand, the GTX 1050 comes with 2GB VRAM, which means that it has no value for ETH mining whatsoever. Back in the day, when the DAG file size was less than 2GB people could use 2GB GPUs to mine ETH, but those days are gone. 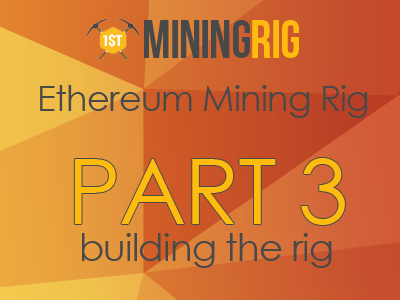 In fact, according to calculations, in a couple of months 3GB GPUs will stop working for ETH mining too. But I won’t get into that here. There is a lot of info on the web about the mentioned card models. While most reviews are legit and real, you might see a huge difference in numbers when it comes to hashrate. It looks like hashrate depends a lot on the miner version. Make sure you keep an eye on the review date first! Another fact that seems to affect hashrate is the type of miner you’re using. Some people noticed that EWBF performs better than Nicehash when it comes to zCash mining. As it happens with most GPUs, hashrate is also affected by the type of VRAM used, which is defined by its manufacturer. So far, it is certain that Samsung memories usually perform slightly better than others. Finally, some users speculate that 6-Pin models boost better. While I couldn’t prove this right or wrong, it might make sense. If you see any other review, I strongly encourage you to check that. Some other users claim that they were able to push the 1050Ti up to 16-17MH/s for ETH using Nicehash 1.7.5.12. However, they haven’t specified what exact overclock settings they used (“a bit of overclock” isn’t descriptive enough). Therefore, I’d take those claims with an ounce of salt. Most people consider the GTX 1050 a waste of money. It is understandable, considering the craze for Ethereum mining we see nowadays and the fact that 2GB GPUs cannot participate in the ETH mining fest anymore. Note that EWBF Zec miner 0.3.3b might give slightly better results. As per today, the ROI of a GTX1050 for zCash mining is about 3 months, with the condition that that electricity cost is $ 0.1 per KW/h. Due to recent stock shortages, Nvidia cards are becoming a decent alternative to AMD ones. Besides stock issues, it is inevitable that AMD most popular mining GPUs - the RX 4xx and 5xx series – will lose up to 35% of their ETH hashrate in the next 3-4 months. Nvidia cards, on the other hand, should remain strong for a while. If you however are not enthusiastic about mining ETH, then you probably might want to check the dedicated AMD cards for mining we reviewed here not long ago.